A group of ten Maoists raided the house of an ex-sarpanch, dragged him out and allegedly pumped three bullets into him in Odisha’s Sundergarh district, a senior police officer said. The incident occured last night at Mohanpada village, Additional Superintendent of Police, Sundergarh, Santosh Mohanty said. The ex-sarpanch Nabakrishana alias Rabi Pradhan (60) sustained injuries in his left chest and legs and was rushed to Ispat General Hospital where his condition was stated to be serious, the officer said. A joint team of CRPF and state police rushed to the area and intensified patrolling soon after the incident. 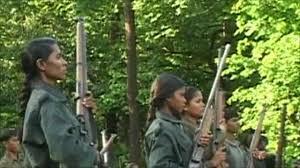 The Maoists fled from the scene, Mohanty said, adding that two female cadres identified as Asha alias Parbati Majhi, 23 and Sita alias Binati Majhi, 22, both belonging to Telkoi PS of Keonjhar district, stayed back and surrendered to the police. BOKARO: An alert has been sounded in the district amid Maoists observance of Martyrs’ Week from July 28 to August 3. 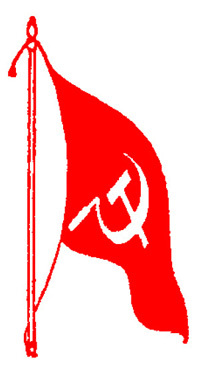 Several Maoist banners were recovered from different places under Bermo subdivision on Friday, thereby prompting the intiation of preventive measures. Security in the district has been stepped up. The first such incident of Maoist actvism took place under Tupkadih railway station where the rebels littered pamphlets asking people to observe Martyrs’ Week. Commuters soon informed policemen about the development. Maoists also hung banners and threw pamphlets on Hirak Road in Red-hit Gomia block later. There was also information of Maoist movement in areas including Upperghat of Nawadih Block. The Maoists observe the event annually to remember their comrades who died in police encounter. 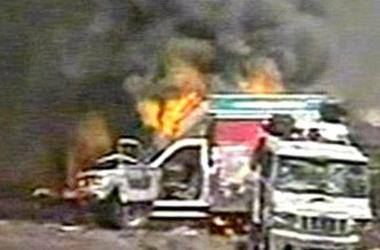 A senior police officer said that the precautionary measures have been taken while police stations are being alerted. Police have stepped up vigil and patrolling in sensitive areas. Meanwhile, CRPF officer said that they are conducting operation in naxal prone belts. Sources said, the security in the Jails of the district has also been enhanced and police personals are been directed to keep strict vigil on the Government buildings situated especially at extremist prone areas. BHADRACHALAM: In a daring and sensational act, 200 Maoists sneaked into Palagudem village in this district on Tuesday morning from the Bastar area in Chattisgarh — apparently after hoodwinking the large number of CRPF and Grey Hound forces deployed on the Telangana /AP-Chattisgarh border. 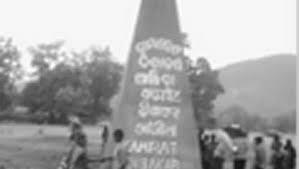 According to reliable sources, the Maoists erected a ‘Maoist Amara Veerula Stupam’ (Maoist Martyrs’ Pylon) at the village as part of the ‘Maoist Martyrs Week’ in AP and Chattishgarh states, which commenced on Monday. They tied some banners nearby and scattered some pamphlets before fleeing to their hideouts in Bastar. In the pamphlets, they demanded that the AP government should stop the ‘Green Hunt’ and abandon the Polavaram project to save the lives and livelihood of innocent tribals. While the Maosists successfully evaded the dragnet spread by the security forces on the border, no policeman visited the Palagudem village till Tuesday evening fearing that the Maoists might have laid land mines there. The Maoists also stuck wall posters of ‘Martyrs Week’ at Anjipaka in Dummagudem mandal and other places in Cherla and Venkatapuram mandals. Meanwhile, Khammam Superintendent of Police AV Ranganath, said that a high alert had been sounded and added that the CRPF and Grey Hound personnel had launched a combing operation in the forest areas on the Telangana /Andhra Pradesh-Chattisgarh border. Visakha Agency, perhaps the only area in the State in which CPI (Maoist) has considerable presence, has been quiet as the annual Martyrs’ Week celebrations of the party commenced two days ago. However, the residents here are apprehensive that the Maoists would unleash violence after the celebrations are over. The panic has its roots in the reported entry of the party cadres from the neighbouring Chhattisgarh and Odisha States into the Agency around two weeks ago. Rumours are also flying that the cadres are being guided by Ravi, who is said to be heading the action teams, and Ganapathi, a Central Committee member who is the namesake of party’s general secretary. Chhattisgarh and Odisha cadres who are known for their violence have become a cause of concern. 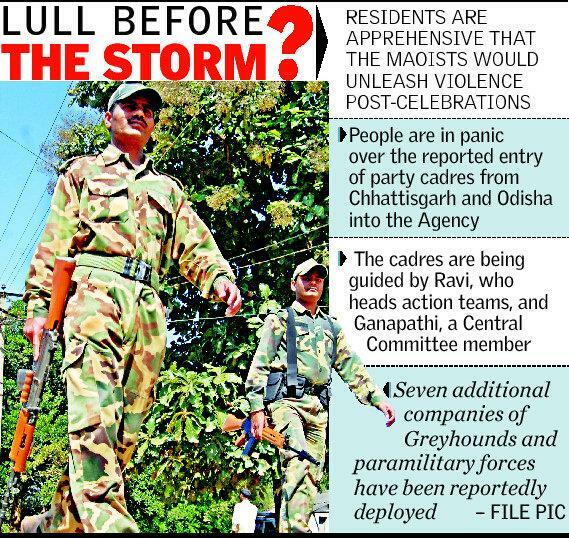 Anticipating trouble from the Maoists during or post-celebrations, the police have reinforced its presence and seven additional companies of Greyhounds and paramilitary forces have been reportedly deployed in the Agency several weeks ago. The police have secured a major advantage before the martyrs’ week commenced by arresting Galikonda area committee member Chinna Rao a month ago. Chinna Rao allegedly made preparations for erecting a large sized memorial at Kumkukmpudi and has planned some other activities. He has reportedly spilled the beans after being arrested and the party has changed its strategies. Though the main activity of the CPI (Maoist) during the Martyrs’ Week is to pay homage to its members killed in encounters, erect memorials, hold meetings in villages and go for recruitment, there is possibility of violence post-celebrations. 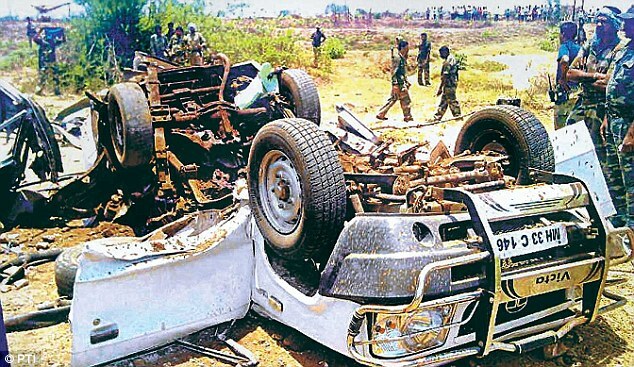 Tension prevails Meanwhile, tension prevailed for a while at Chintapalli when a rumour went round that an action team was present at Antarla village, just two kilometres away. Local Sub-Inspector Tarakeswara Rao with a posse of policemen rushed to the area and conducted a search. Aurangabad: Maoists attacked a village in Bihar’s Aurangabad district and blew up the house of a CoBRA personnel, police said Thursday. Aurangabad Police Superintendent Upendra Kumar Sharma said the banned CPI(Maoist) members raided Pipra village late last night and blew up the house of CRPF personnel Vinod Singh, who is currently posted at Barachatti in Gaya district as a member of Combat Battalion for Resolute Action (CoBRA). 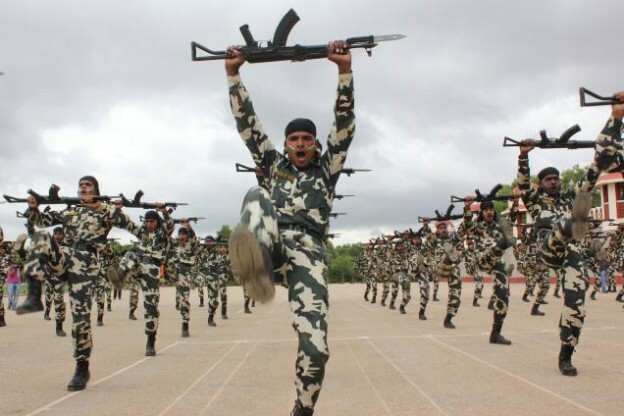 The CoBRA force is deployed for anti-Naxal operations in the state. “The Maoists threatened the family members of Singh and pulled them out of the house. They later laid explosives inside the building and blew it up. The house has been damaged,” said the SP. 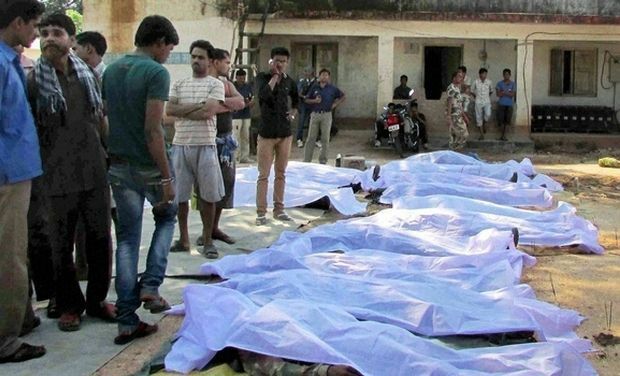 Three villagers were shot dead allegedly by Maoists, who suspected the trio of working against the banned outfit at Jojo in Khunti district, police said today. The deceased identified as Dubraj Manki, Nagi Manki and Surya Hansda were gunned down by the rebels who suspected them of being involved in anti-Maoist activities in the area last night, Deputy Inspector General of Police Praveen Kumar told reporters. The Maoists have in the past killed villagers after branding them as police informers. 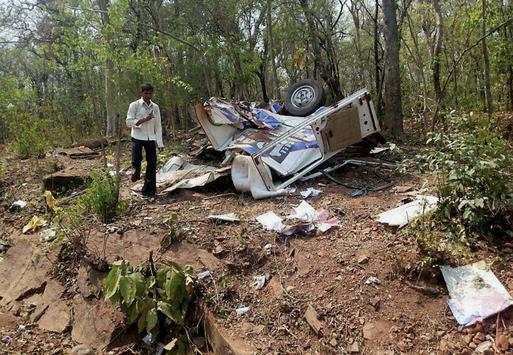 RAYAGADA: Suspected Maoists killed a contractor in Sikarpai village here on Tuesday. Gopal Chetty Gandhi (48), also a Congress worker and panchayat samiti member, took three gun shots on his chest. The ultras, belonging to the Basadhara-Ghumusar-Nagabali Division of the outfit, then used knives to stab him. Sources said Chetty reached the petrol pump owned by him at 6 am and was waiting for a staffer when a group of five armed ultras attacked him. Before Chetty could realise anything, one among them fired three rounds at him. When he fell down, the Maoists stabbed him. 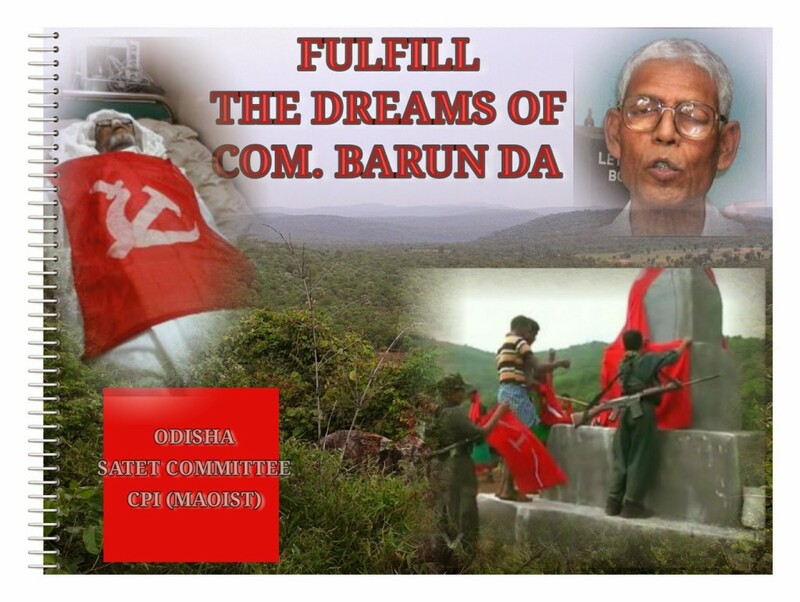 Following the attack, they raised slogans in favour of the CPI(Maoist) and fled from the spot. A note found near his body said, “You swallowed money of tribals. So we killed you.” It was written by one Umakant, secretary of the divisional committee, police said. The note also stated that the decision to kill Chetty was taken in a kangaroo court. Police recovered three cartridges from the spot. Combing operation has been launched in the area to track down the killers. Chetty, who was also a lawyer, was in the hit-list of the Maoists. The note warned that whoever is found exploiting the public or supporting multi-national companies would meet the same fate.